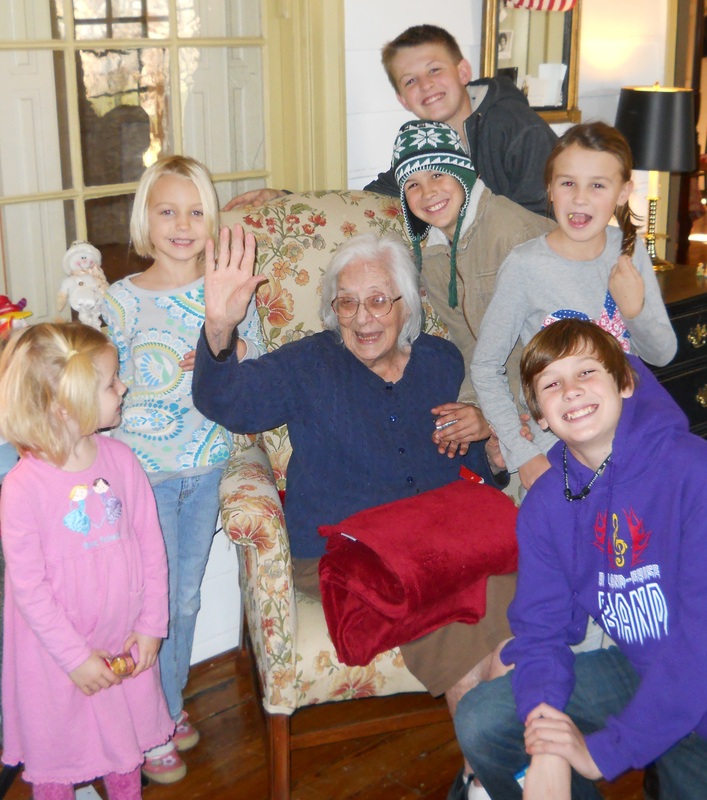 As of Christmas Day,12.25.11, my 91 year old mom is 92! My wife (Melissa), daughters (Tovi and Lissi), son-in-laws (Chris & Ty), grandkids (Thomas, Patrick, Fisher, Livi, Kenzie and Tyli), and I all celebrated her birthday in grand style. Five of the grand kids each stuck 15 candles into a homemade chocolate cake (mom’s favorite) and one got to finish it off with 17. And, let me tell you, mom blew those candles out like nobody’s business. 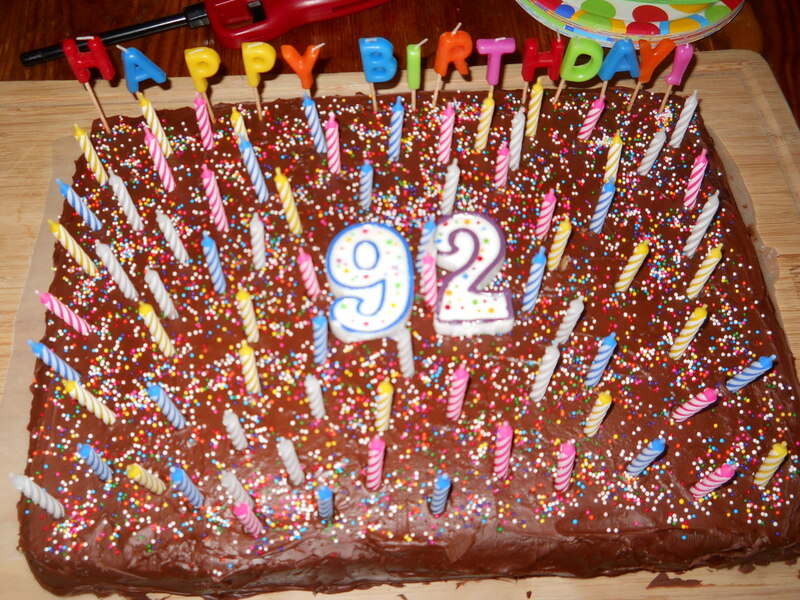 After 91 years of blowing out an ever increasing number of candles, today would be a piece of cake. This lady was on a mission! Practice made perfect. Those 92 candles made quite an impression on all of us, especially the kids. They now know what 92 looks and feels like. It looks like a humongous bright, shining light, and makes you feel warm all over. It is so very special. And, the taste? Delicious as a homemade chocolate cake! A taste none of us will ever forget. And … one thing we all knew, no matter what age we were … never challenge a lady about her age … especially this one! 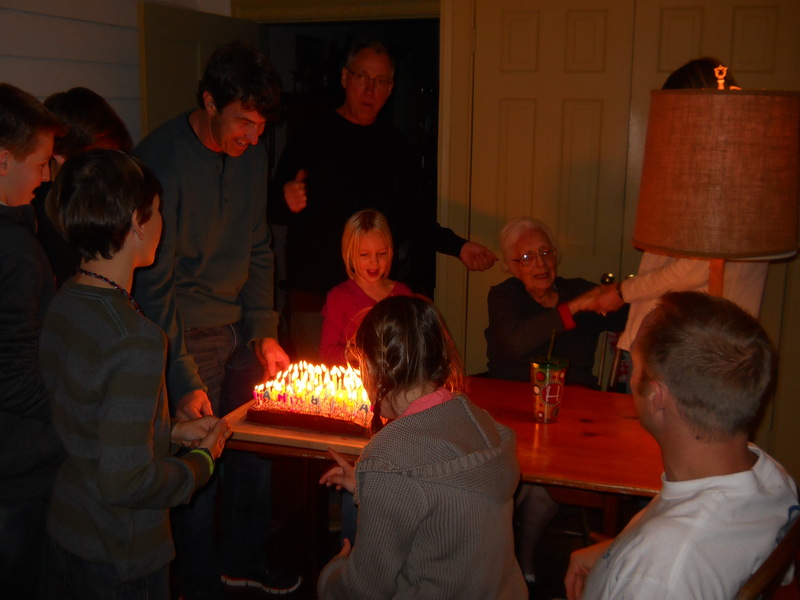 With all the commotion going on, we didn’t have time to ask mom what her wish was when she blew out the candles. Besides, her wish was already coming true right before our eyes. As for our blog being called My 91 Year Old Mom, it will remain the same until I can figure out how to change the domain name (which was my original idea) and not confuse mom’s ever growing universe of followers. Just know my mom is now officially 92, no matter what she or the blog title says. And, I for one will never challenge what she says except in the safe place this blog has become … and that’s it! Stay connected, there is sure to be a whole lot more I’ll share with you on my mom’s and my ever unfolding journey of a lifetime. By the way, it’s a lot less expensive to add candles to mom’s cake each year than to change the domain from my91yearoldmom.wordpress.com. So, that’s what it will remain.